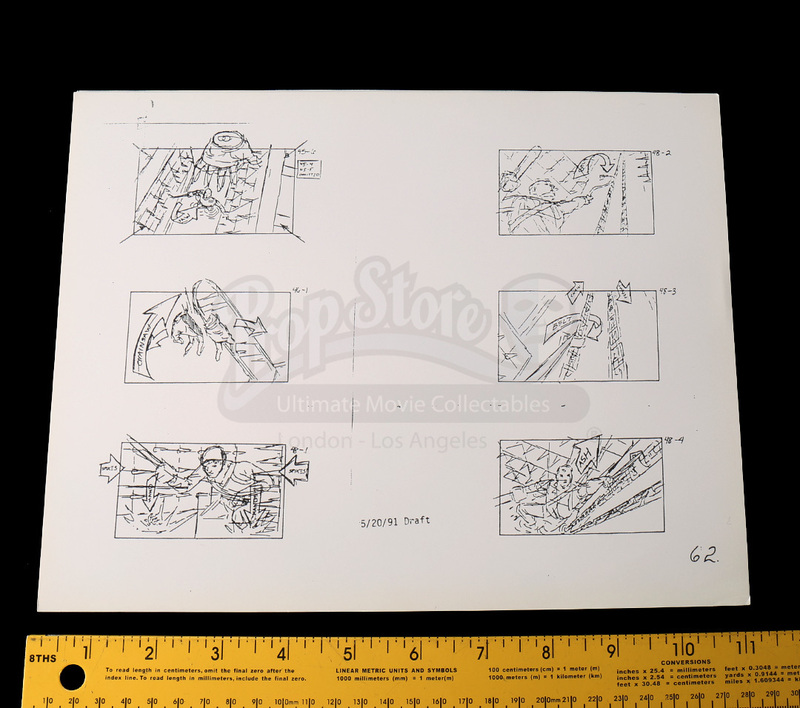 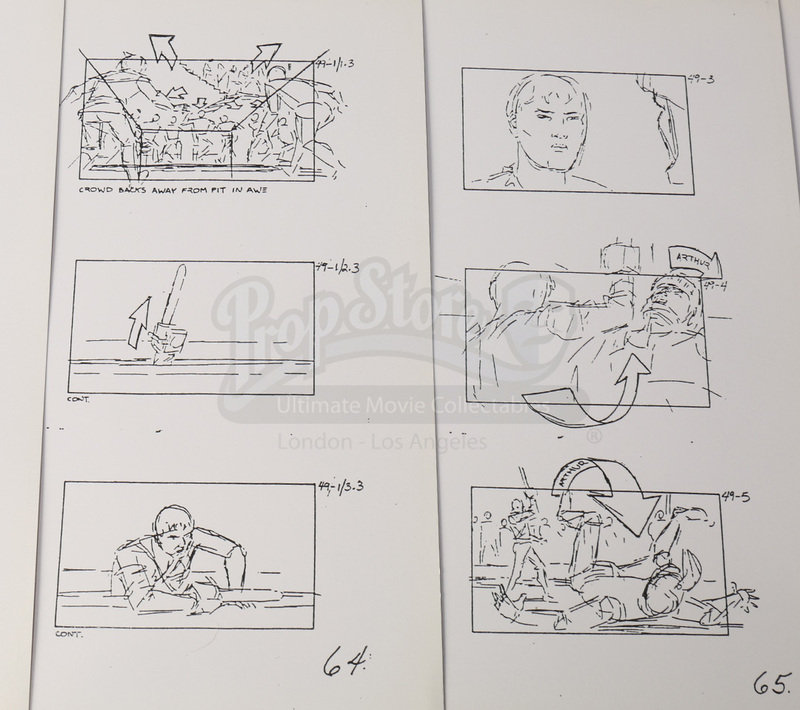 Printed production storyboards from the cult fantasy horror Army of Darkness. 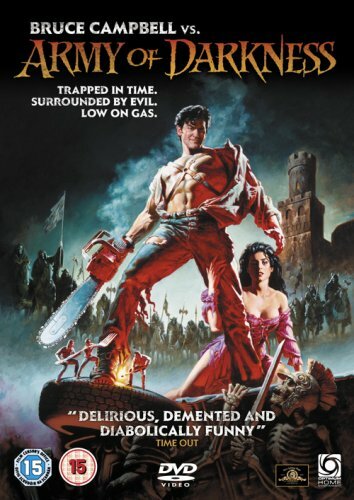 Transported through time to 1300AD, Ash Williams (Bruce Campbell) finds himself in the midst of a war between two medieval armies. Unable to get back to his own time without the Necronomicon, an ancient book with untold power, Ash heads out on an adventure that will bring him face to face with pure evil. 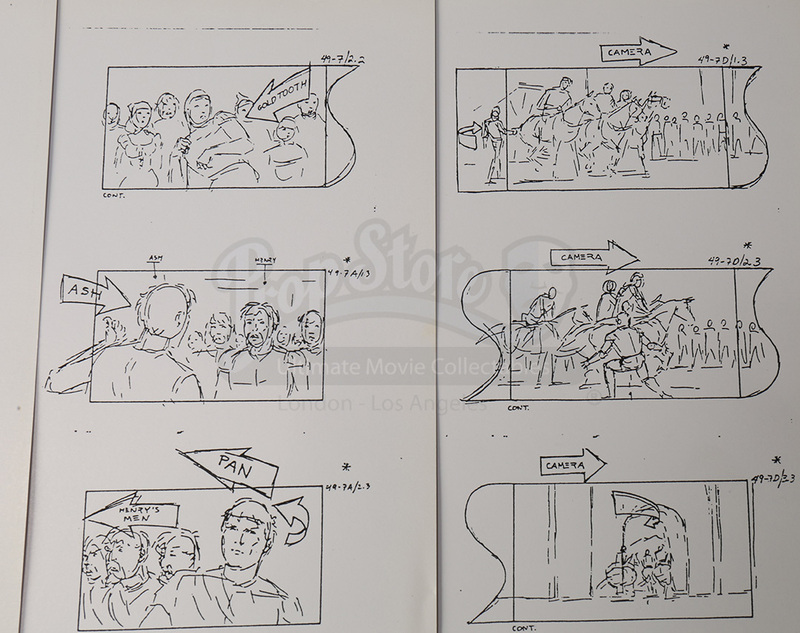 The set consists of six storyboard pages that each feature hand-drawn frames printed on photo paper. 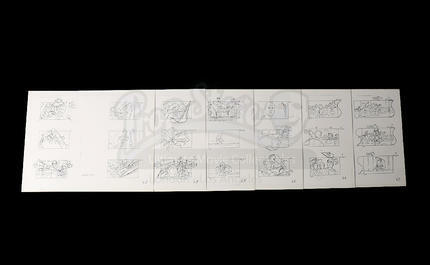 Each page is also dated as May 20, 1991. 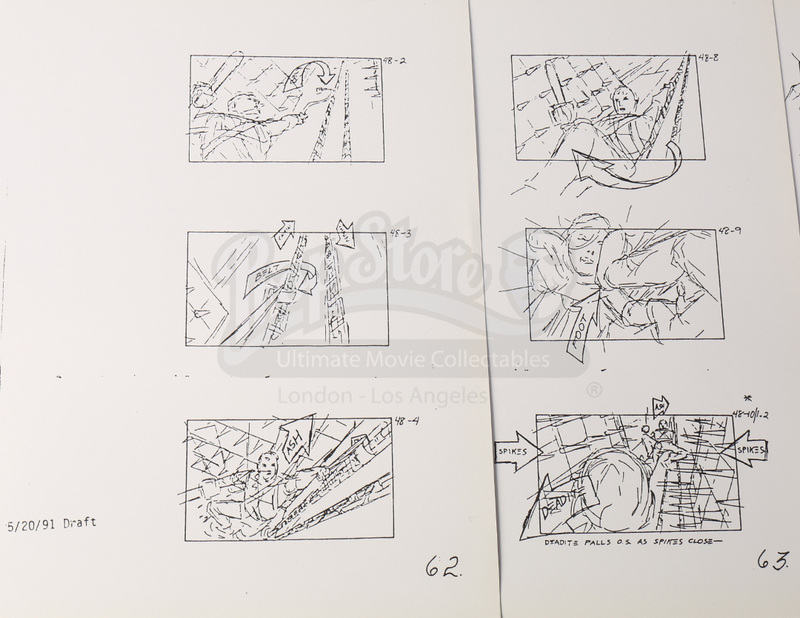 The storyboards show minimal signs of wear and remain in overall great condition.